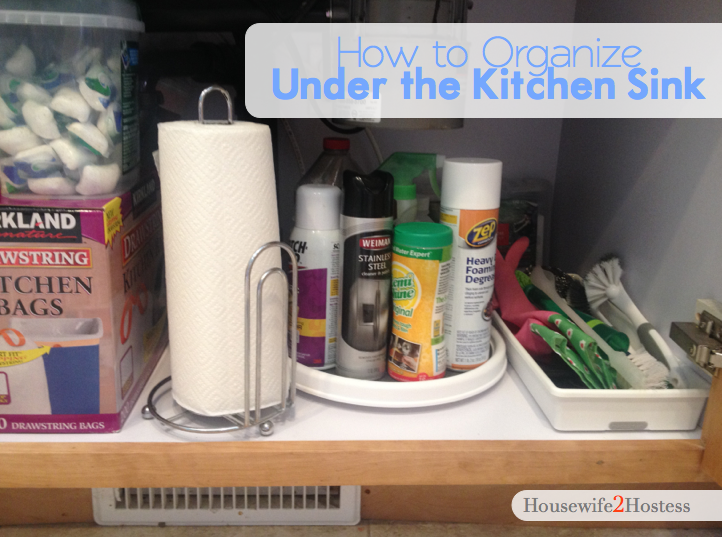 I used to struggle with keeping underneath the sink organized and accessible. I would clean it and within a matter of months it would be a disaster again. 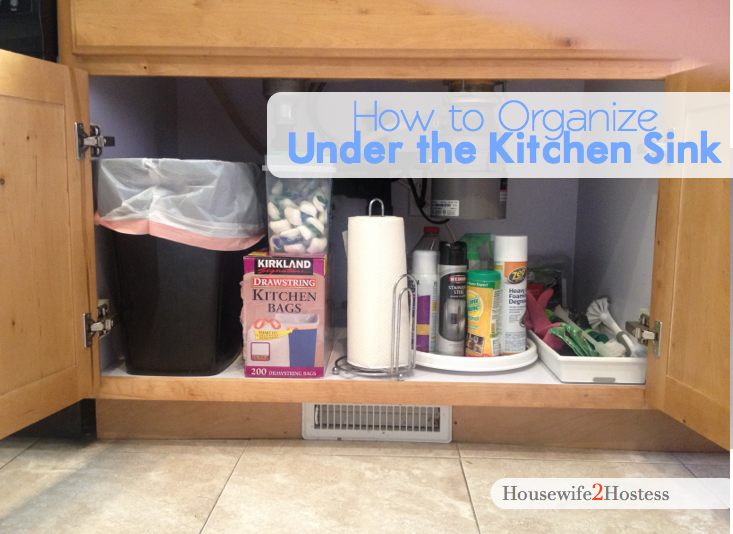 The key to keeping a space like this organized or any space are the systems. I LOVE systems because they get everyone using the space on board with keeping it neat. 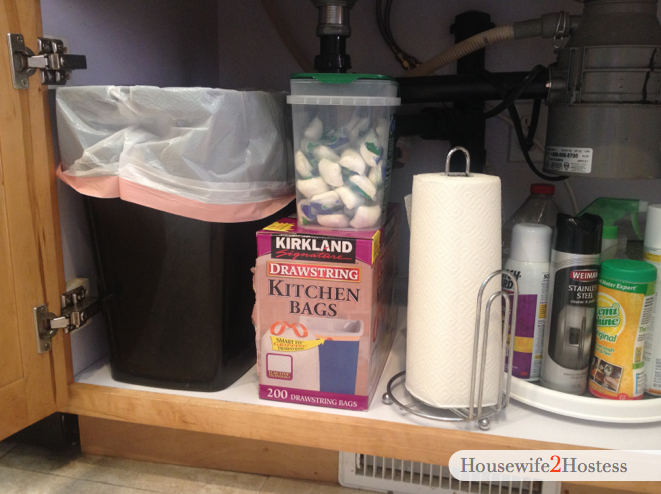 One of the main things to keep in mind when organizing under any sink is to use the maximum vertical space. It can be hard with out tools and create a maintainable system. Stackable bins would also be great in a space like this. For me, the LazySusan seems to be enough to keep it tidy at our house. I also wanted to share a quick video tutorial on how I keep under my sink organized. Like I said in the video, its been organized like this for over a year because the systems continue to work.